If you are following my blog, you must be aware that I recently purchased the iPad Mini 4 and inducted it to my gadget family. I’ve been an iPad user for almost four years now and truly, madly in love with it. I’m quite confident that once you use and iPad you will never NEVER go back to android ! I do use my Nexus 5, but no intention of starting the never-ending iOS vs Android debate !! Nevertheless, I had decided to ‘upgrade’ my iPad mini a while back and was looking for the differences between the iPad Mini 1 and the iPad Mini 4. But all that I found everywhere was the comparison between the iPad Mini 2/3 with the Mini 4. iPad Mini vs iPad Mini 4 was nowhere to be seen ! 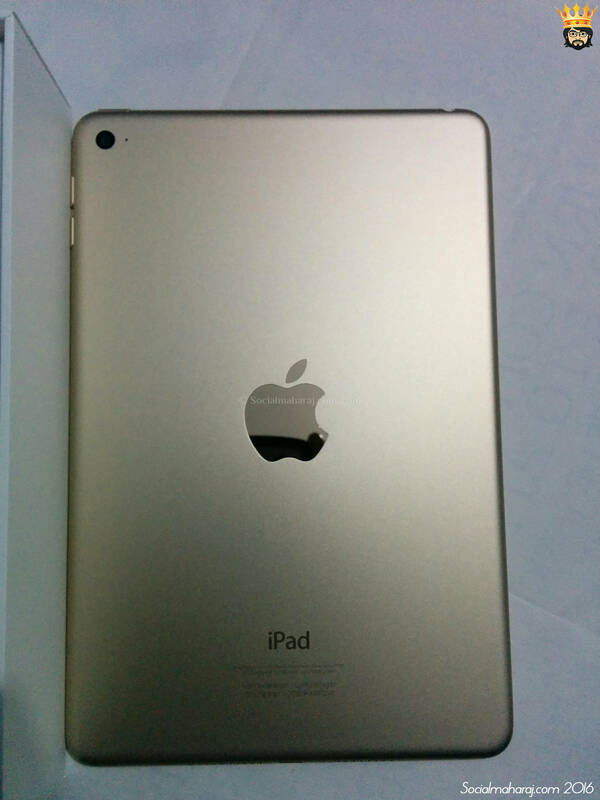 So here’s a post as to with 5 Reasons to upgrade your iPad Mini to iPad Mini 4. If you have used any Retina display device earlier, you know what I’m talking about. The screen on the older iPad Mini(iPad Mini 1) was pretty much an average screen with a decent resolution. But the new iPad Mini 4 comes with a Retina display screen which is way better that the older model. The screen is much brighter, colors are vivid and display is more crisper and sharper. So one reason to upgrade your iPad mini to iPad mini 4 is the display you get. The iPad mini 4 is equipped with a fingerprint sensor that is housed right beneath the home button. One of the main uses of this sensor is for Touch ID. Touch ID is a way your device will stay secured since only your fingerprint could unlock the device. 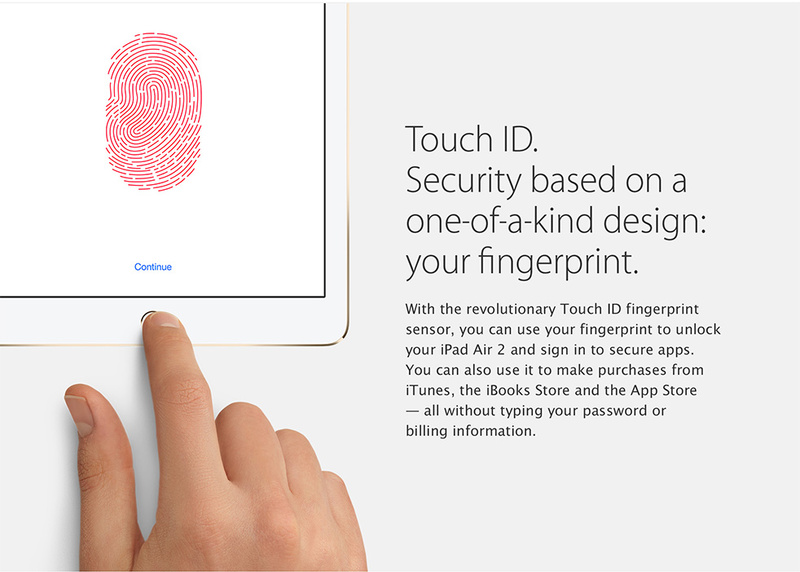 So you can have either the pass code lock or Touch ID or both. Even when you are sleeping and someone puts your finger on the sensor, it will UNLOCK the iPad ! Apart from this you can use it to secure purchases on the App Store. Simplifies an secures things. Isn’t it another reason to upgrade to iPad mini 4 ? iOS 9 comes with a load of features and one of them is the Split View. The feature allows you to run to run two apps simultaneously side by side. What more, both are independent and you can interact with them separately ! Surely a boon for the multitasking fans. This was absent on the iPad mini and hence made it tough to say copy links from browser, share it somewhere and so on. Now it’s much easier on the iPad mini 4. Simply drag from the right of the screen, choose an app that supports split view and viola go multitasking ! So if you want to run multiple Alps side by side, then this is the perfect reason to upgrade to iPad mini 4. The new iPad mini comes with a 8 MP iSight camera unlike the 5 MP on the older iPad mini. The camera is not only better in terms of focus, quality but also comes with a load of features. 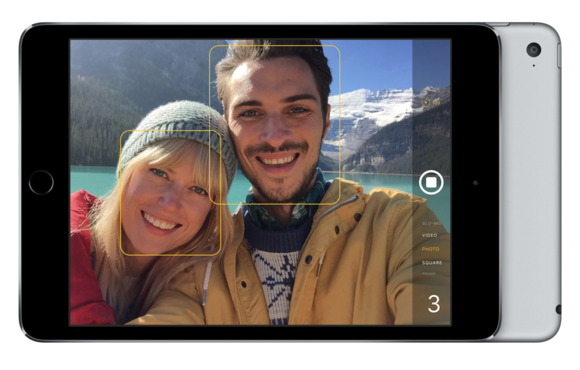 One of the features it has is the trademark Slo-Mo mode where you can record videos in slow motion. There’s also a panorama mode which helps you capture the perfect panorama. Well if you – like me – use your iPad for photography then this is just the perfect reason to upgrade your iPad mini to iPad mini 4. I know this is the 6th point, but could end the list without this one !! Last but not the least, Apple always comes up with an upgraded design with every new product and the iPad mini 4 is no different. With a thinner body – 1 mm thinner – than the iPad Mini, the device feels great in the hand. Further the new iPad mini 4 has definitely shed some weight, which is quite noticeable if you hold it with one hand. Apart from this if you were a fan of the ‘side switch’ used for mute or rotation lock, then it’s a bad news for you ! Apple has got rid of that switch in the latest model 🙁 Man I miss it already !! So with a body overhaul, you might want to upgrade your iPad Mini to the latest model. So you see, there are a whole bunch of enhancements that the new iPad Mini 4 has over the old iPad Mini (1st generation) If you use the tablet for daily use then you should consider upgrading to the iPad mini 4. With most apps demanding iOS 9 – which barely runs on the first generation iPad mini – its high time to upgrade ! In a fix whether to buy the iPad Mini 4 and upgrade your iPad Mini ? Write in the comments below, will be happy to help you decide ! I have an Ipad mini 1, but I’m thinking of upgrading to an ipad mini 3 or 4 this year! I like the mini better, cause I’m always on the go and I always watch my videos wherever I go! The form factor is the best part about the mini, you can carry it anywhere. I suggest going for the mini 4 as it is a better option amongst the two.